WATCH THE 2016 DI NCAA XC CHAMPIONSHIPS LIVE ON FLOTRACK -- SATURDAY 11/19! The quote in Justyn Knight's Twitter bio perfectly describes what motivates his racing. That competitive edge has carried the Syracuse junior to a fourth-place finish at the 2015 NCAA Cross Country Championships, three All-American honors, and an undefeated streak in 2016 with just five days remaining until the NCAA Championships. "It's great to win, but that feeling of loss… I could tell you every situation where I've lost a race and could tell you how I felt after, but other than at NCAA cross country last year when we won as a team, I couldn't really tell you how happy I was when I won a race. It didn't matter as much," Knight told FloTrack. Knight hasn't lost a race since July--he broke the course record at Panorama Farms, outkicked the field at the Nuttycombe Wisconsin Invitational, cruised to victory at the ACC championships, and repeated as NCAA Northeast Region champion this past Friday. While an undefeated season is something most other runners only dream of, it's just business as usual for Knight as he eyes a much bigger prize: a NCAA team championship. He shares that mindset with his teammates, who buy into the program's philosophy of embracing big, sometimes unrealistic goals. Syracuse wasn't favored to win last year's NCAA championship. But that didn't matter to them--the Orange fired on all cylinders, and as coach Chris Fox said, they "had the perfect day." Just a sophomore at the time, Knight led the squad with a fourth-place finish followed by teammates Colin Bennie (eighth), Martin Hehir (ninth), and Philo Germano (39th), who unleashed a kick that took down 14 places between the 8K mark and the finish line. Joel Hubbard rounded out the top five with a 47th-place finish to cap the upset victory against two-time defending champions Colorado. The performance marked Syracuse's first championship in 64 years. "As a team, I'll never forget winning the championship, overcoming the odds after not being the favorites, looking at each other's faces and remembering the first time we came back in the summer and talked about the possibilities of winning a championship. That was really special to me," Knight said. 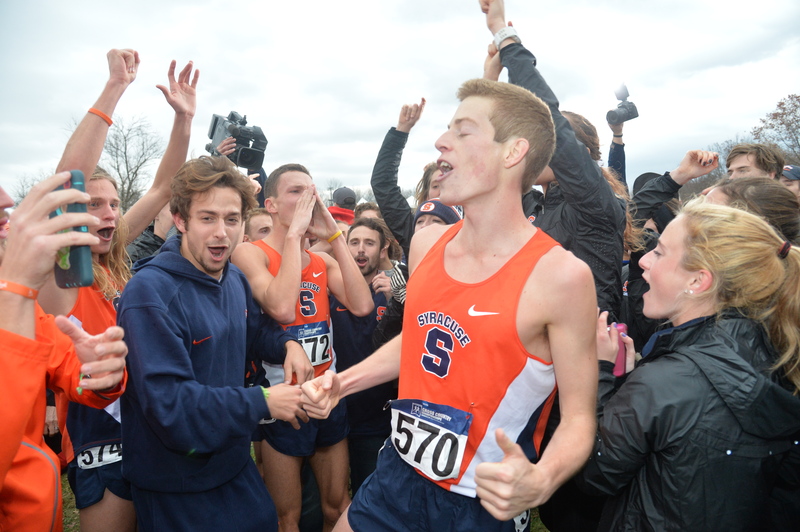 Knight didn't realize they won until every Syracuse teammate arrived in the finish area. He heard the news in the middle of an interview, and immediately rushed to celebrate. By accomplishing a team goal that had been years in the making, the squad fulfilled a promise that Fox made to Knight when he recruited him. "The one thing that stuck out for me with Syracuse was that they didn't have the rich history that, say, Wisconsin has, but they kept telling me that they were going to win a NCAA championship. And then I dug in deeper and saw the way that the team has evolved since coach Fox has been coaching," Knight said. Since Fox arrived at Syracuse in 2005, the Orange have been gradually rising to the top. They improved from consistent 14th-15th NCAA finishes (2009-2012), to a 10th-place finish in 2013 and a fifth-place finish in 2014. "To me, that speaks more towards the coach, because he never really had that luxury of being able to tell the rich history of 'This is what we did in the past,' so for us to be just normal athletes and to continuously improve like that, I just felt that Coach Fox was doing something special here," Knight said. Other than Knight, Fox said the rest of his 2015 championship squad was not highly recruited, and their performance was indicative of the work ethic instilled into the program. 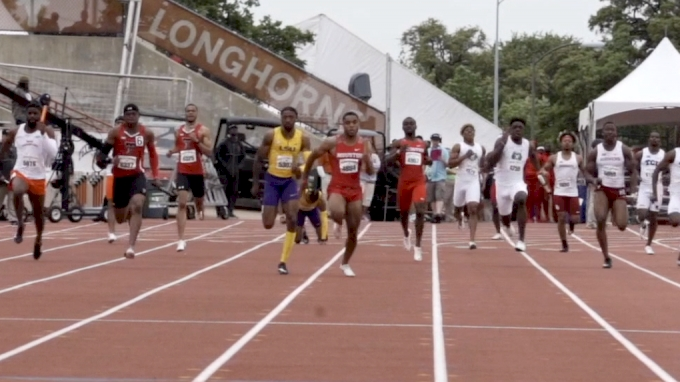 "Most of these guys outside of Justyn were not highly recruited by anybody who finished in the top seven or eight," Fox said after last year's win. "Marty Hehir got about three letters. Colin Bennie was a hockey player, so they're just regular guys. The guy who was our fourth man today [Germano], ran 4:19 and never made a state meet. They're just good, regular dudes who try hard." Knight didn't start running until he was motivated to improve a low grade he received in gym class. As a member of the volleyball and basketball teams in grade 10 at St. Michael's College School in Toronto, Knight recalled winning nearly every game he played--which made his low mark even more shocking. Concerned, Knight approached his teacher Leonard Chittle and asked what he could do to raise his grade. Chittle said he needed to put forth a great effort in the last unit, which involved running a 5K. In basketball shoes and baggy shorts, Knight broke the school record by running in the 15:20s on the 5K course. Chittle told the track coach Frank Bergin, who invited Knight to train with the team. From that point on, Knight shelved his basketball shoes in favor of spikes. "I'm thankful for him [Chittle]. If he didn't ask me to push a little bit harder, I probably wouldn't be at Syracuse right now. I probably wouldn't even be running," Knight said. "I'd still be trying to pursue the baller life dream." 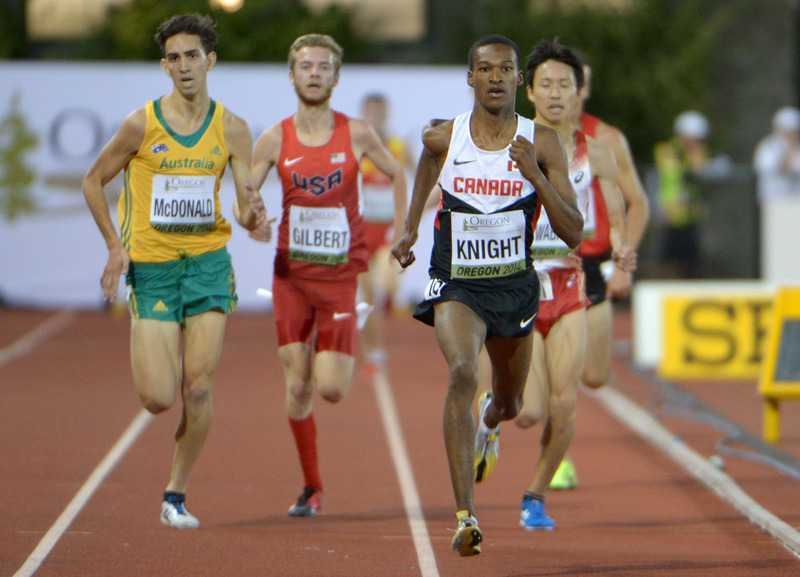 It didn't take long for Knight to establish himself among the best junior runners in Canada. He approached each competition as if everyone was beatable. A competitor and later a NACAC teammate, Michigan's Ben Flanagan was one rival who "crushed" Knight in high school. "But when I saw him, I didn't know who he was; I didn't know how good he was. The only thing that was going through my mind was, 'This guy looks like a pretty normal kid, and I don't see why I can't beat him," Knight said. In two years, Knight went on to place fifth at the NACAC Cross Country Championships and later finished eighth in the 5K at the 2014 IAAF World Junior Championships. He also claimed the Pan-Am Games Cross Country Championship and broke the Canadian junior record in the mile by running 3:59.57. While competing at NACACs together for the Canadian team, Flanagan remembered Knight as an eager teammate who wanted to learn and was often more interested in other people's success rather than his own. "After he'll have some awesome performance, you'll run into him and the first thing he does is congratulate you on your race," Flanagan said. 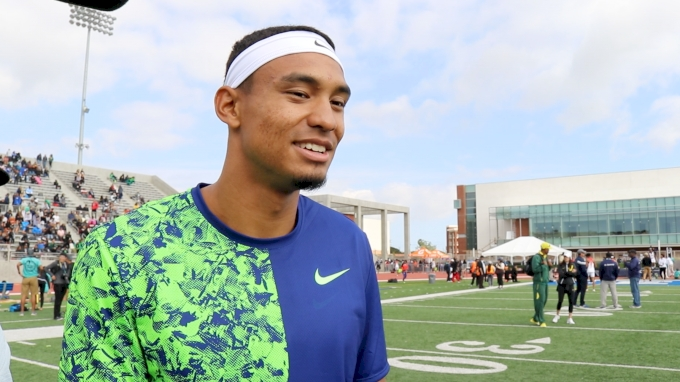 "He's so personable, and you're just like, 'Man, you realize you just ran the best race of this entire meet? And here you are asking about how my day was.' He's humble and makes you realize that he's really just interested in being friends with everyone as soon as you step off the track." In his first collegiate cross country race, Knight ran the 2014 Battle in Beantown and didn't shy away from the fact he had a lofty goal: beat NCAA champion Edward Cheserek. "I got to the race and I kind of knew who he was, but didn't really know how good he was. I knew he'd be the top guy to beat in that race. I remember I was talking to my teammates and thinking, 'I'm going to come in my first race and try to take down the king, and everybody's going to love me,' and my teammates were all like, 'Oh yeah, that's cool. We support you, Justyn--you should definitely have a good race.' But they didn't shoot me down right away and say, 'Uh do you not know who that is?'" "And then I had a rude awakening," Knight said. "I lost to 20 other guys, I think, but the teammates we have here, we take pride in setting unrealistic goals for ourselves because then it doesn't put a limit on whatever the outcome might be." Knight now knows his teammates and coach Fox were chuckling a little when he revealed his lofty goal, but he appreciates that they never shut him down. Even in workouts, Knight said his teammates never let ego get in the way of the team's goal of winning a championship. Although Knight still hasn't beaten Cheserek, he has closed the gap since his 20th-place finish at the Battle in Beantown and even beat two-time Olympic medalist Galen Rupp. 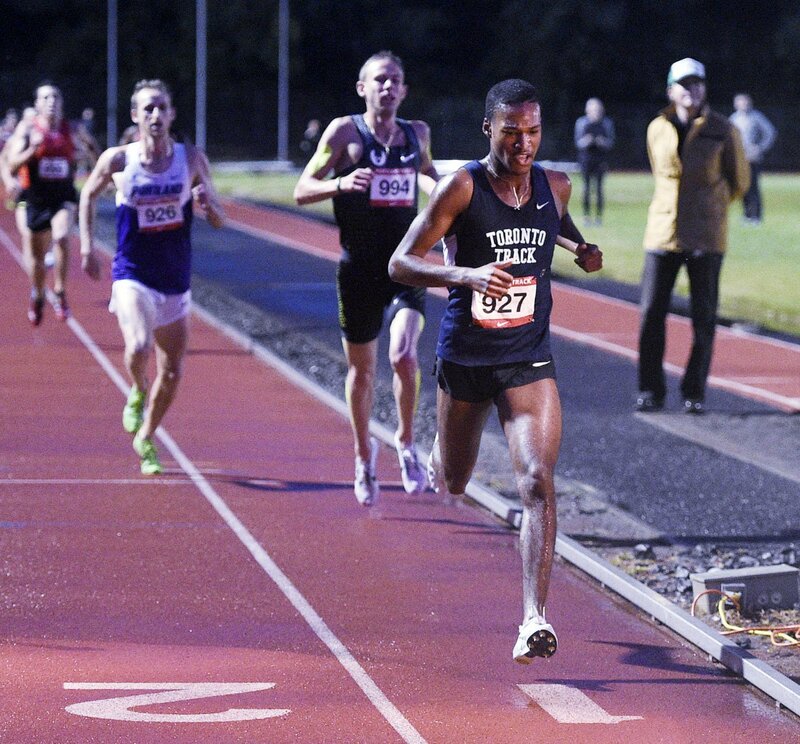 At the Stumptown Twilight in June, Knight kicked down Rupp on his way to victory in the 5K. 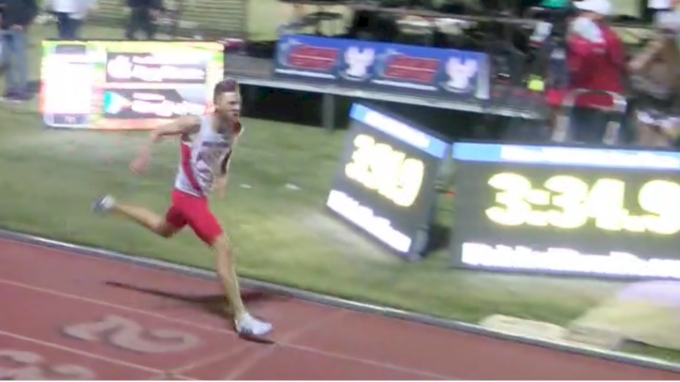 Knight was chasing the Olympic standard of 13:25.00 after finishing just two seconds shy of the mark at the Payton Jordan Invitational a month prior. 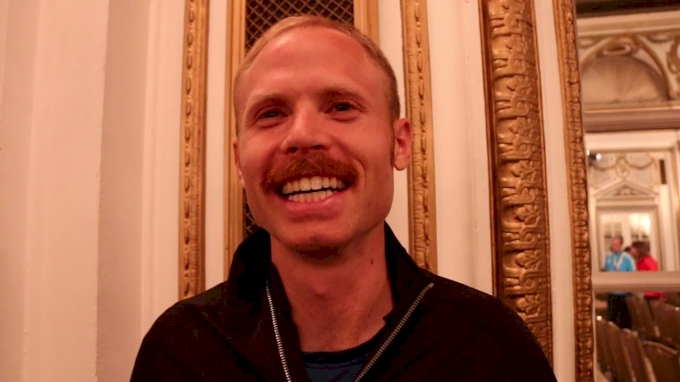 He beat Rupp, but barely missed the Olympic standard for the second time when he finished in 13:26.36. 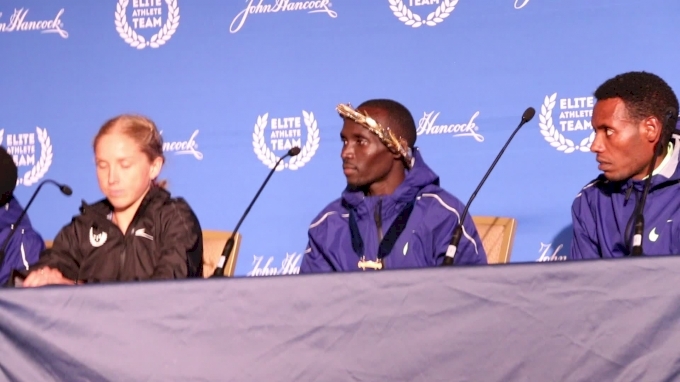 Despite the fact that he beat one of the best distance runners in the world, Knight was overcome with disappointment. "I took a little time to myself and had to realize, 'That's it. You already tried for it.' Sometimes, you just don't accomplish things as easily as others, and you just have to get back up and keep rolling," he said. Knight's memory of the Olympic standard miss is still fresh in his mind--just one of the several memories of loss which drive him forward and manifest in even bigger goals for the future. "I want an NCAA title individually. I don't know if that's likely or not--I still have to chase down so many guys in front of me--but I'm a Division I athlete, so if you're not trying to win, then I don't know if you take this sport that seriously," Knight said. Taking down three-time defending champion Cheserek and repeating as the NCAA team champion are tough goals to accomplish. But as everyone at Syracuse knows, "unrealistic goals don't put a limit on whatever the outcome might be." Join FloPRO now for access to the best track content on the planet! Get live streams, original documentaries, technique videos and more.